On my first visit to this particular bend in the road along Highway 29 between Mason and Llano, this is the sunset I found. 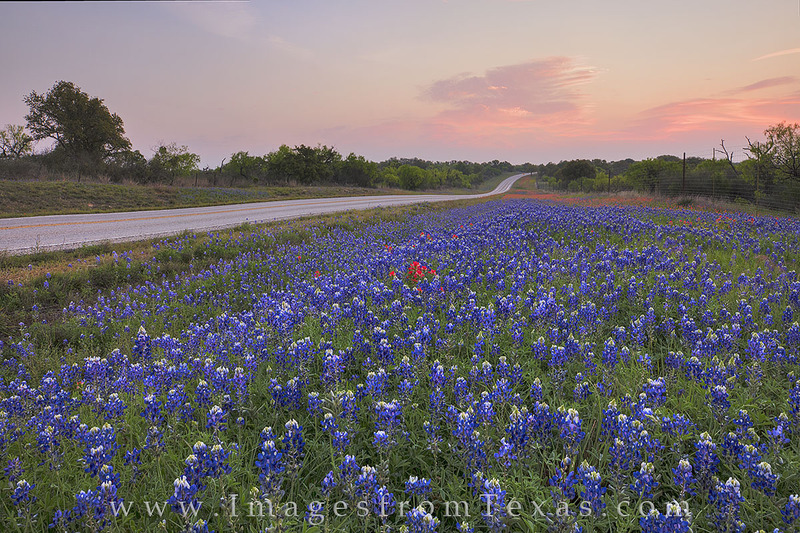 The bluebonnets in the Texas Hill Country were not great in 2017, but roadside displays of these wildflowers and indian paintbrush were quite colorful on this little stretch of highway. Photo © copyright by Rob Greebon.